HBO has been hacked, BuzzFeed News can confirm. Entertainment Weekly was the first to report the news. As most of you have probably heard by now, there has been a cyber incident directed at the company which has resulted in some stolen proprietary information, including some of our programming. Any intrusion of this nature is obviously disruptive, unsettling, and disturbing for all of us. I can assure you that senior leadership and our extraordinary technology team, along with outside experts, are working round the clock to protect our collective interests. The efforts across multiple departments have been nothing short of herculean. It is a textbook example of quintessential HBO teamwork. The problem before us is unfortunately all too familiar in the world we now find ourselves a part of. As has been the case with any challenge we have ever faced, I have absolutely no doubt that we will navigate our way through this successfully. HBO has not revealed what was stolen or the amount of data accessed, despite reports that the hackers leaked a few episodes from the series Ballers, Room 104, and the script for next Sunday’s Game of Thrones. This is not the first time HBO has been in this situation. 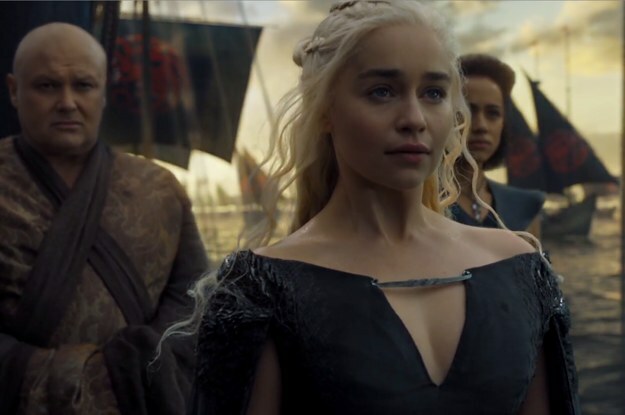 The first four episodes of Game of Thrones Season 5 leaked shortly before its premiere in 2015. Check back for updates and follow BuzzFeed News on Twitter.